Missoula is home to an incredible amount of art from classic Western to world-class modern styles. A trip to Missoula is not complete without a trip to the galleries, museums and public art spaces that make Missoula a cultural hub of Montana. 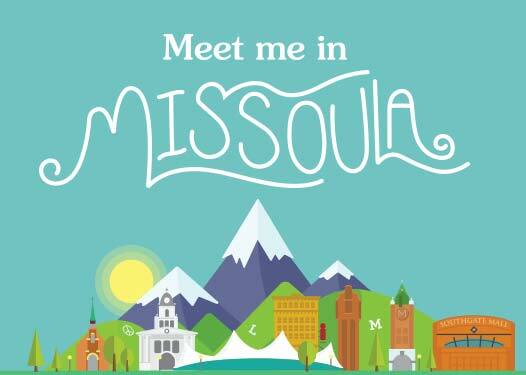 We recommend this fun day of art exploration in Missoula, all accessible by foot or by bike! Located at the north end of Higgins Ave in Circle Square, the “Crossing’s” sculpture, known around town as the XXXXs, has been in Missoula since 1986. The Missoula Art Museum (MAM) featured modern art that is significant to the Rocky Mountain West. Admission is always free at MAM. The Dana Gallery and 4 Ravens Gallery are located next door to each other and both feature local modern art. Dana Gallery usually has paintings or photographs highlighting the modern art of the west, and 4 Ravens features a selection of pottery, knitwear and jewelry among other items. Radius Gallery focuses on high quality modern art, primarily made regionally or locally. Here you can enjoy everything from pottery to large-scale sculpture and paintings. E3 is a fun gallery located on Main Street that regularly sees new rotating exhibits. E3 is also used for music and poetry readings. The Monte Dolak Gallery featured fine art created by Montanas Monte Dolak and Mary Beth Percival. Along the Riverfront Trail on the west side of Higgins in Caras Park sit a large fish sculpture installment that has been in Missoula since 1989. Kids love playing on the art, too! Located on the University of Montana’s campus, the Montana Museum of Art and Culture is home to one of the oldest and most prominent fine art collections in the Rocky Mountain Northwest. The gallery was started in 1894, one year after the University opened. If you happen to be in Missoula on a Saturday between May and October, check out the Peoples Market, located in downtown Missoula. Here, you can enjoy many artisan goods and artwork, including locally made paintings, wooden frames, yard art, pottery, and jewelry.